Inside, Polclay has an open plan living/kitchen/dining room. 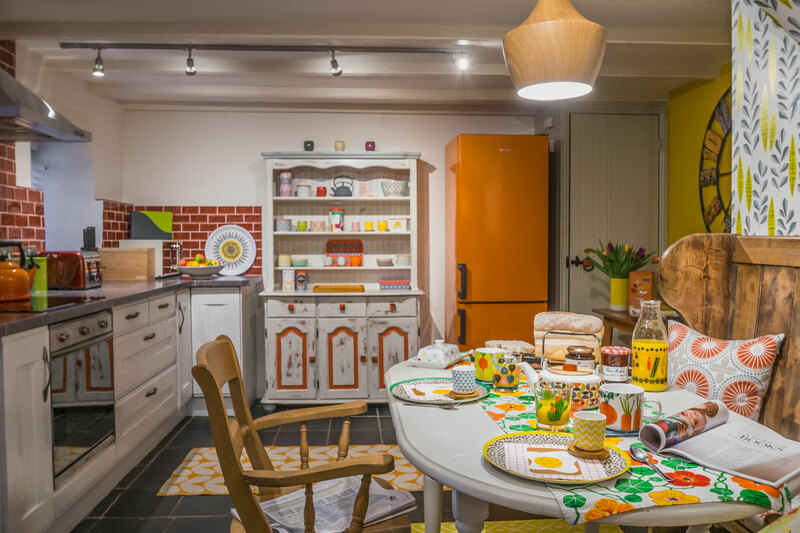 The kitchen is large with white wooden units and Fired Earth metro tiles, an electric cooker with ceramic hob, painted wooden dresser and funky orange fridge freezer. 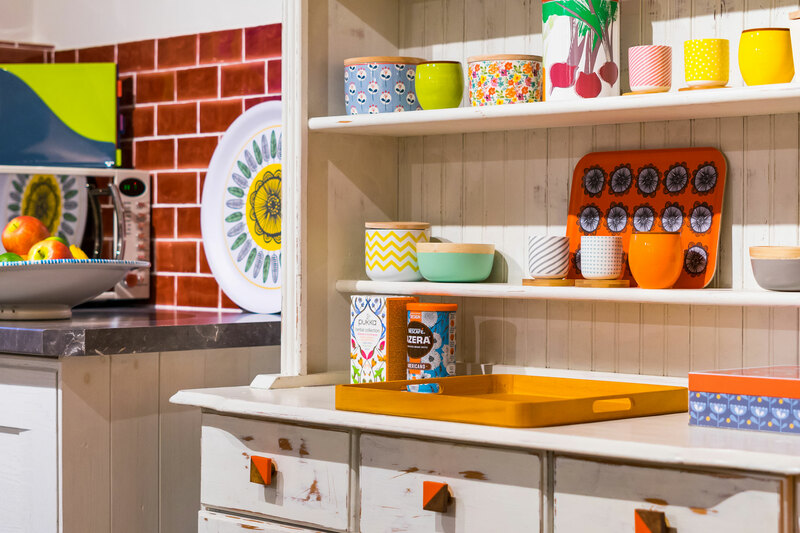 It is equipped with everything you need to pack a picnic, rustle up a breakfast fry up or cook the fish you caught on a seaside boat trip. 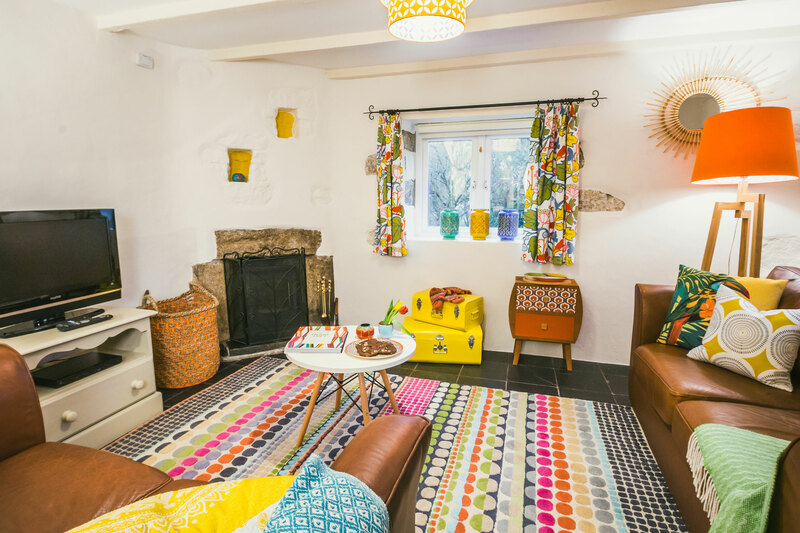 The lounge area is snug with slate floor, funky colourful rug and leather sofas to relax in front of the fire. 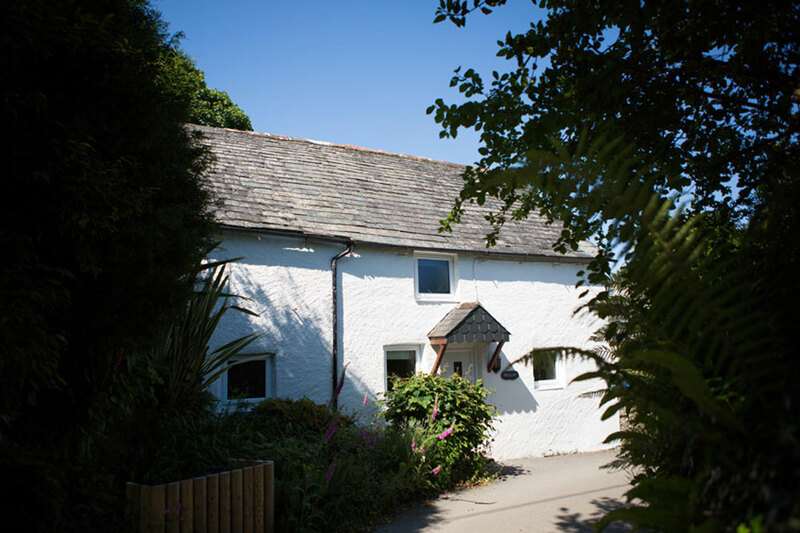 Climb up the old winding staircase and you’ll find two bedrooms, the master with double bed and en-suite shower room. And a twin bedroom with two 3ft single beds. 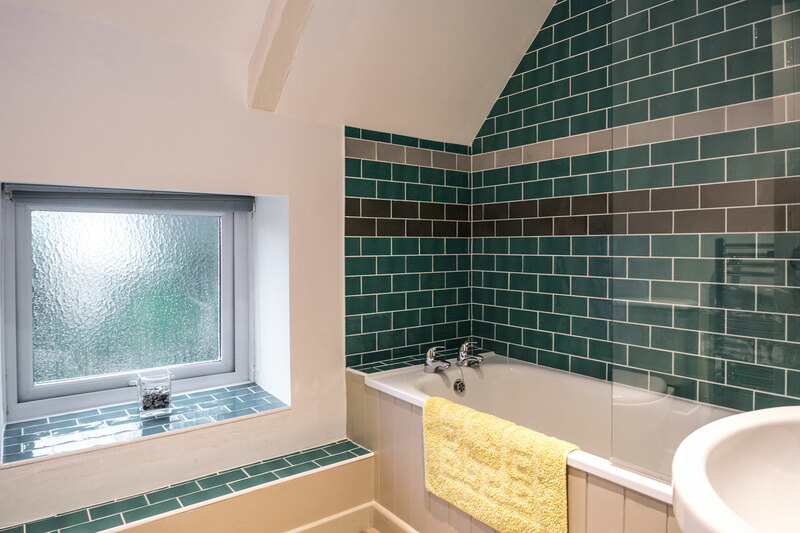 The teal tiled family bathroom is snuggled under the slope of the roof with basin, wc and shower over the bath. 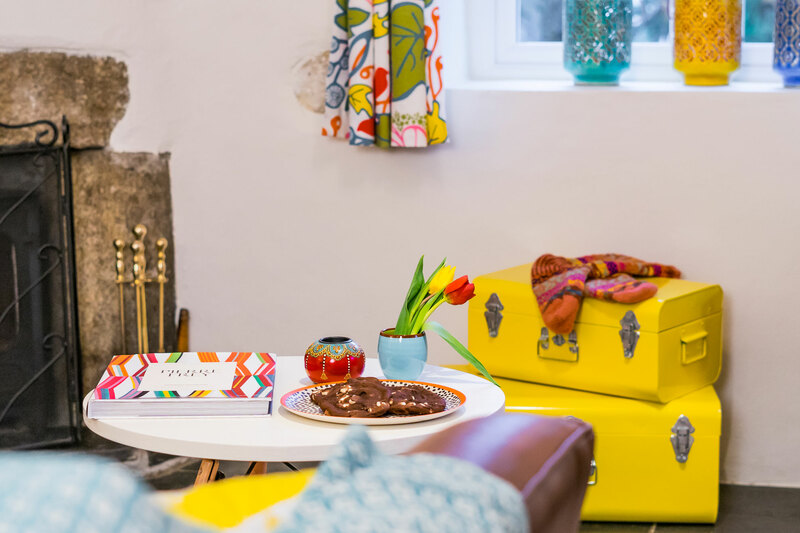 You can walk straight out of the double bedroom onto the patio – have your summer breakfasts in your dressing gown! Best for: Families with young children and toddlers in the summer. 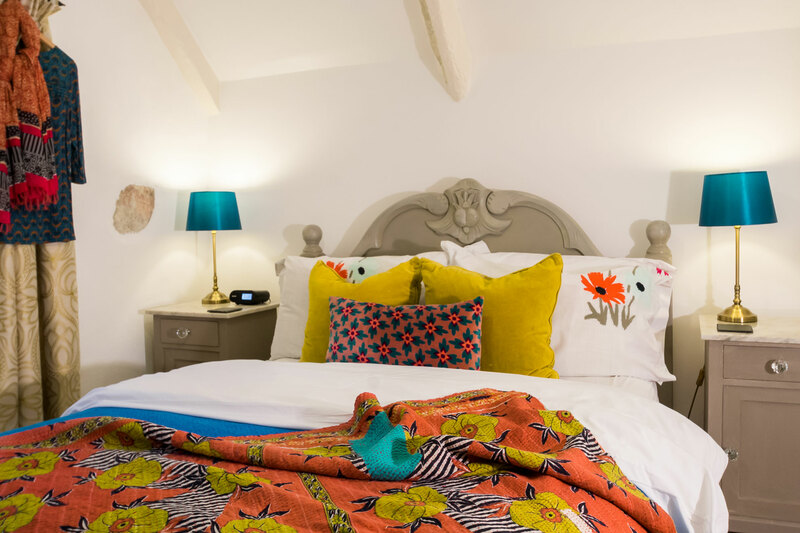 Or romantic breaks for couples in the winter. Upstairs two bedrooms, a twin and a double with en-suite shower room. The family bathroom has a shower over the bath. Polclay has two floors, so isn’t suitable for people who find stairs difficult. 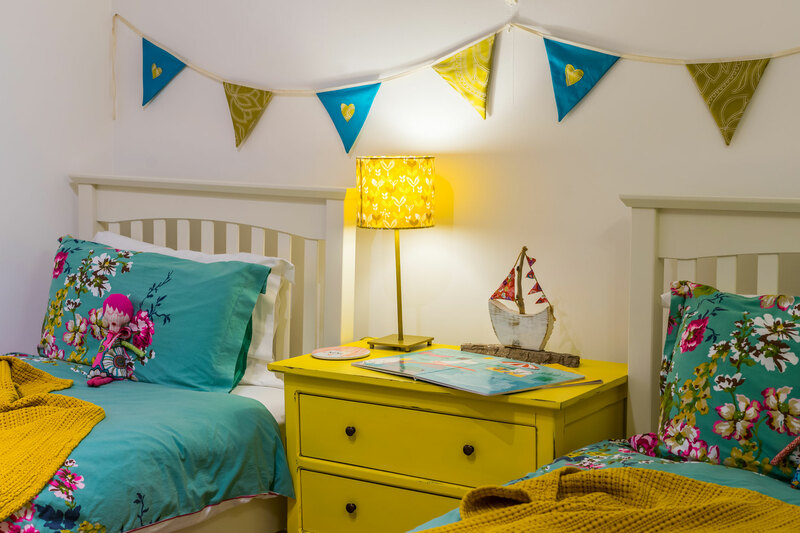 The cottage has a small folding wooden cot (36 x 21 inches, 92 x 54cm) which can be used in the twin bedroom. On request a travel cot may be booked instead. 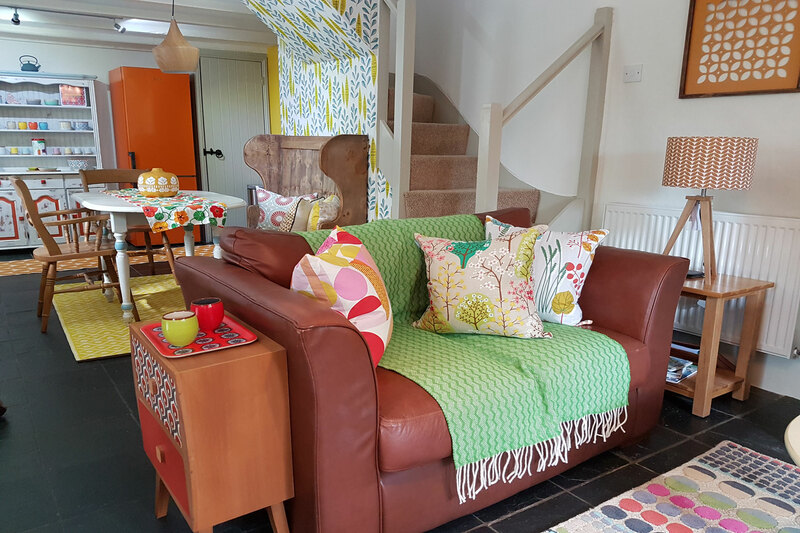 Gas central heating and a real woodburning stove in the lounge – logs supplied! Level parking on tarmac next to the cottage.